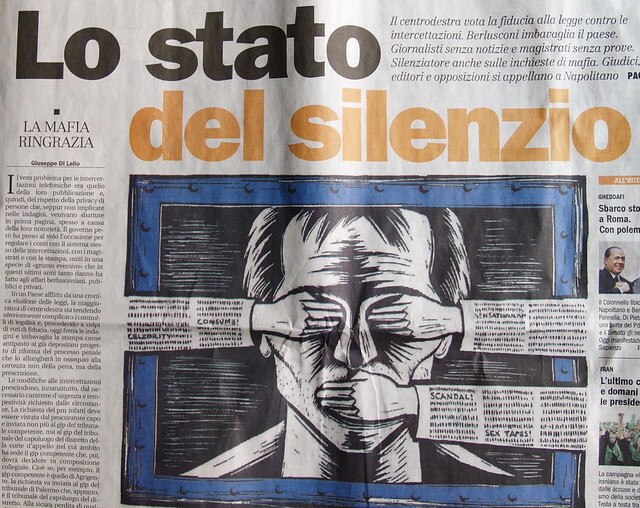 Freedom of the press in Italy. | Flickr - Photo Sharing! Freedom of the press in Italy. focalize2.0, istriano, Toti Bello, and 8 other people added this photo to their favorites. ma bene è cosi che andremo avanti muti sordi e ciechi, bah ci toglieranno anche l'aria che rispiriamo. **Social Documentary Photography & events** YES WE CAN!!!!!!!"